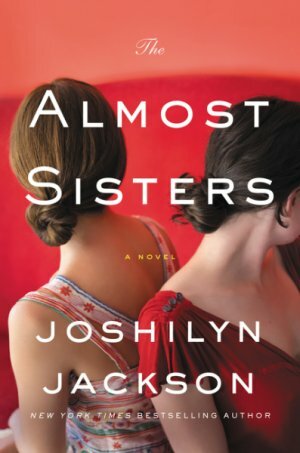 Booksellers have chosen New York Times bestselling author Joshilyn Jackson's The Almost Sisters (William Morrow), about a graphic novelist who discovers a family secret, as their number-one pick for the August Indie Next List. 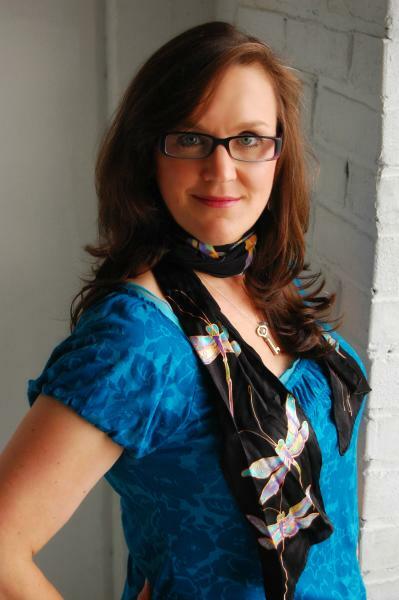 Jackson's seven previous novels have won various awards, including the Southern Independent Booksellers Alliance's Book of the Year award and two Georgia Author of the Year awards. Her books have appeared on the Indie Next List and its predecessor, the Book Sense Picks List, a number of times; this is the fifth time that one of Jackson's novels has appeared as independent booksellers' number-one pick. Since its release, The Almost Sisters has received starred reviews in Kirkus and Library Journal and was named an American Library Association Library Reads Pick and a Southern Independent Booksellers Alliance Okra Pick. Here, Jackson discusses writing about her father's family history for the first time, how booksellers can hand-sell her new book, and being "an enormous nerd." How does it feel to have The Almost Sisters named the number-one pick for the August Indie Next List? I cried and cried. This is the third consecutive book of mine that has been a number-one pick. 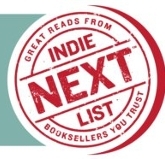 I really hoped I would be on the Indie Next List; it never occurred to me that I would be number one. I just hoped I would be on the list at all. When my editor called to tell me I had the number-one spot, I just sat down on the floor and cried, I was so happy. What has your relationship with indie booksellers been like during your career? I have a career because of indie bookstores. When my first novel came out, nothing really happened with it; none of the chains really liked it or noticed it, but independent booksellers all over the country started hand-selling it like crazy. Because of that wave of hand-sellers who were, for a whole year, putting it in the hands of readers, I have a career now--I'm on my eighth book. It started there, and it's always been that way. That's how my readership has stayed and grown, because independent bookstores keep saying, "Oh, this Joshilyn Jackson book, you've got to read this one!" That kind of support, where booksellers are responding to my book in that way and helping it find the right readers, is incredibly validating as a writer. It just makes you feel like you've really been heard. The way I feel about independent bookstores is that they are what allows me to feel heard. Including the books I wrote before I started publishing, I've written nine novels about my mother's family, who all came out of a Flannery O'Connor short story. This is the first book where I'm really looking at my father's family, dealing with that family history. I'm a person who really does believe that the past is alive inside our present, that history has deep roots and long, forward-reaching fingers. On my father's side, my grandfather came from a large slave-holding family out of Mississippi, and my grandmother's ancestors were slaves, so I started thinking about my grandmother's mother. She was the daughter of a slave but pale enough to pass, and she fell in love with a white man. I don't know a lot of their story--I never knew them, I never got to talk to them because they died before I was even born--so to write this story of Birchie and Wattie (two women, black and white, 89 and 90, who are best friends with a shared secret and a murder mystery that reaches all the way back to the Civil War), it definitely came out of my trying to imagine and understand that family history. In the book, you refer to the idea of a "Second South," a hidden legacy of slavery and racism that lies beneath the outward gentility of Southern culture. Is Leia's mixture of feeling both pride and shame when it comes to her Southern heritage something you've explored in your previous novels? This idea of the Second South is something that is kind of under the surface of the South that you see, but always present. I think it's important to know it's there and be aware of that, and to look at your culpability and your own agency and what you can do about that. I've written about it before to some extent. Certainly, that was a part of gods in Alabama. But this is really the first time I've thought about my father's family in these ways. This is a departure. I'm known as a Southern writer. All of my books take place in the South and I write about everything about the South, which is weird because I never wrote about the South until I went to graduate school in Chicago. Before, I didn't have enough distance; I just thought that was how the world was and how people were. I didn't realize how weird we were. I guess I needed that distance to see it clearly, and, of course, I am ambivalent about my homeland; I love it and I despair for it. Nerd culture--graphic novels, comic books and superheroes--plays a big role in your new novel, in which Leia struggles to write a prequel to her hit graphic novel Violence in Violet. 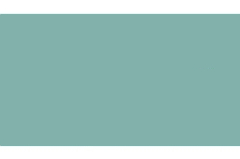 Are you personally interested in things like comics, cosplay, and other nerdy pursuits? Yes, I'm an enormous nerd, I married an enormous nerd, and we are raising the next generation of nerds. He's more of the comic book person, although I have graphic novels and series that I love. I love everything Neil Gaiman has done, mostly novels, but I also love his graphic novel work. I love Persepolis and literary graphic novels like that. My husband is more the comic book geek, and I'm more of a Buffy the Vampire Slayer kind of person. So, certainly, nerd culture is of interest to me. I've done this before with other books. I'm always interested in women in the arts and how we relate as artists. For me, watching Leia struggle to get her book right was a way to explore my own process as a novelist. It's very similar, in the way her graphic novel reflects her life and the things that are driving her, without taking them on in a literal way, so that the imagery is her way of thinking things through. That was sort of an explanation of my own process--how your art relates to your life without being a clear one-to-one reflection of your life. 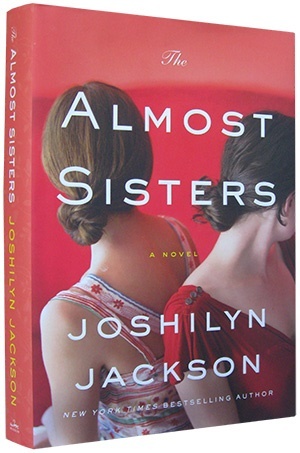 What advice would you give indie booksellers when it comes to hand-selling The Almost Sisters? What is a good pitch to start with? One thing I love about this book is that it truly is intergenerational. There are characters that range from 13 to 90, who have agency and who are interesting and vibrant and thoroughly engaged in their lives. I think a lot of times older characters can be turned into props or conveniences, and I think that Birchie and Wattie are so vibrant and alive. I think people will really like that. "Much to the chagrin of my household, once I started this book I refused to put it down. I let my children fend for themselves while I walked along the Philly streets with Lee and Tomi, solving the age-old puzzle in the midst of which 17-year-old Lee has found herself. She has many of the same struggles and life choices to make as high school seniors across the country, but with a mysterious conspiracy thrown in. I love a book that is both well-written and completely absorbing. This is a great read for vacation, for a long plane ride, or for an escape while in the comfort of your own home." "This debut novel set in a small North Carolina Appalachian village is full of strong Southern voices. Among them is Sadie Blue, a child bride who realizes in a matter of days that she has made a mistake in marrying the ne'er-do-well Roy Lupkin, and Kate Shaw, who answers Minister Eli Perkins' ad for a teacher for the children of Baines Creek. As Kate begins to make a difference in the lives of her students, she realizes they are returning the compliment. Kate offers to teach Sadie Blue to read, helping her to make another life for herself. Each of the characters will touch your heart, and you will cheer for their victories!" "The novels of M.J. Rose are always rich in sensual detail, and her latest is no exception. Though the other senses are hardly neglected, in The Library of Light and Shadow the sense of vision is central to Delphine Duplessi, a young Frenchwoman who is a painter as well as a witch, and who sees both the surface of things and their hidden secrets. Thanks to the author's rich descriptions, readers, too, will see beyond their ordinary abilities, to the passion between Delphine and the man she loves but feels she must give up forever." "Perfectly paced and completely compelling, Girl in Snow by newcomer Danya Kukafka immerses you in a chilling small-town tale in which star high-school student Lucinda Hayes is found dead on a school playground. Most clues point to Cameron, an obsessed, window-peeping classmate who often lives in an 'alternate' state of mind. Conflicting clues come from the backstories of classmate Jade, the questionably motivated policeman Russ, and Cameron himself. Readers will be spellbound and remain puzzled as the characters expose the town's secrets. Told in spare, haunting prose, this is a not-to-be-missed story!" "Joan and her four-year-old son, Lincoln, are just about to conclude a day at the zoo when Joan notices an unnatural stillness and a lack of other people. She hears sounds, loud popping noises, and cannot quite determine what they might be. Then she notices the bodies. How quickly life shifts from a dream to a nightmare. She shushes Lincoln and hurries away, back into the zoo she knows so well, intent on finding a hiding spot until help arrives. This is an absolutely gripping exploration of what it is like to be hunted, to be trapped and awaiting rescue but still able to connect, with cell phone glimpses, to that other life that now seems so tenuous in the midst of real danger." "The Bedlam Stacks is a gorgeously detailed historical fantasy novel that spans from England to China to Peru. The year is 1859, and Merrick Tremayne is enlisted by his former employer, the East India Trading Company, to smuggle ingredients for a crucial malaria treatment past the monopoly holders in Peru. Along the way, his story slips into fantasy as easily as sliding into warm water. Though Merrick begins his trip loyal only to the Company, his loyalties shift the longer he's away. Richly described and quietly romantic, this book is an absorbing and beautiful read." "Fans of Unbroken and The Boys in the Boat will be thrilled to know that there is at least one more thrilling tale of WWII heroism able to leave readers nearly breathless. Sons and Soldiers is the remarkable story of German-born Jews who escaped the country during Hitler's rise to power. After training with the U.S. military, these same men returned to their homeland to fight the Nazis. Their knowledge of German culture, geography, and language made them uniquely skilled at gathering enemy intelligence, but also especially vulnerable should they be captured. Bruce Henderson has written a masterpiece, an inspiring and gripping tale of selfless men who risked everything to defeat unspeakable evil." "In this debut novel, Ladee Hubbard has created an African-American family, outrageously gifted in very strange ways, headed by a 72-year-old gentleman who is searching all over the state of Florida for buried money. His backstory involves The Justice Committee, a group involved in civil rights, plus a life of crime and $100,000 owed to a man searching for him. Now he discovers he has a 13-year-old niece who wants to accompany him on his travels and use her talent to help him. Their journey has its ups and downs but is so intriguing that the reader gets caught up in the history of the state and the search for treasure. I really enjoyed this story about family, fun, Florida, and life." "Paul Kingsnorth follows up the utter linguistic feat of his debut, The Wake, with another breathless and confounding work. Beast is comprised entirely of the hallucinatory ramblings of a self-imposed modern hermit, a Zarathustra or Thoreau kind of character who has left the modern world behind in search of communion with nature, the meaning of life, connection with a shadowy past, or maybe something more. Soon, he begins having surreal experiences in a strangely featureless and seemingly inescapable landscape and becomes obsessed with the only other living thing he can find--a large, mysterious cat roaming the moor. Written with a relentless intensity that will speed you along to the enigmatic ending, Beast traverses the realms of the mind and questions humanity's perceived place in the natural world." "Suspense novelist Wendy Walker is back with an enthralling tale of lies and intrigue. What really happened the night that two sisters went missing? After three years, younger sister Cass returns with a troubling tale of abduction, and the hunt begins for the still-missing Emma. Told in the alternating voices of the teenage Cass and a forensic psychologist with her own emotional baggage, Emma in the Night is the ultimate unreliable narrator experience. This story will grip readers from page one, up until an ending so shocking it will knock you sideways. Trust no one." "This powerful and intense psychological thriller explores the memory of trauma and how it affects our very being. When 16-year-old Jenny Kramer is brutally raped and then given a controversial drug to erase her memory of the event, her parents think it will allow them all to return to their normal, idyllic life in an affluent small town in Connecticut. But that is far from the truth. What ensues is a fascinating look at psychiatric treatment and the lies people tell themselves and others in order to feel whole. Secrets are revealed and integrity is tested as, indeed, all is not forgotten." "When her father dies, Arden inherits Arrowood, her childhood home. The town of Keokuk, Iowa, has seen more prosperous days, as has Arrowood, which has stood vacant for years. Arden decides to move back to Keokuk and re-establish the search for her two-year-old twin siblings who disappeared 20 years earlier under her watch. With the help of Ben, her childhood friend and a longtime resident of Keokuk, Arden re-examines the disappearance, hoping to not only find the twins, but also to make peace with her own secrets." "After the death of his wife, Cal Sidey abandoned his children for the life of a solitary ranch hand in Montana. Years later, in 1963, his son Bill asks his father to return home to look after his grandchildren, while Bill tends to a family emergency. The powerful story of Cal's visit is a tragedy of narrowly missed moments as he attempts reentry into a world that no longer has any place for his old-fashioned and violent ways. The prose is clear and lovely, every character is strongly drawn, and Cal Sidey captured my heart while breaking it. Watson has given us a grand Western tragedy, spare and harrowing." "Agee presents the saga of the Bennett family in the years following the massacre at Wounded Knee. Formed and altered by the unforgiving Nebraska Sandhills, the Bennetts are a rough, conflicted lot, and their story is filled with secrets, lies, betrayals, vengeance, and murder. Agee evokes a lost world and time without sentiment, but with a beautiful subtlety interrupted only by the true horrors of well-researched fact. A must-read for lovers of Western literature, family sagas, and historical fiction." "Hood offers the parallel stories of Ava, who is struggling to build a new life after the end of a long marriage, and her daughter, Maggie, living in Paris and descending into addiction. Ava is invited to join a book club whose members each suggest the book that matters most to them. In Ava's case, a book remembered from her childhood leads to the unraveling of family secrets and a chance to move forward without old sorrows. Hood is a master at exploring the fine line between love and pain." "Faithful is compulsively readable and includes all of the traits we have come to love and expect from an Alice Hoffman novel. It is a coming-of-age tale of the emotional journey of a girl overcome with heartbreak after a tragic accident, who is now attempting to redefine herself. It is a hopeful lesson in faith, love, friendship, forgiveness, and opening up to new possibilities. A friendly warning: expect a craving for Chinese food and a desire to adopt a rescue dog after reading." "On May 13, 1939, the SS St. Louis set sail from Germany to Cuba with many Jewish passengers fleeing Hitler. Despite all best efforts, they were turned away from Cuba, the U.S., and Canada, forcing the ship to return to Europe, where many of the passengers would die in Hitler's death camps. Correa puts a human face on this shameful episode. Hannah Rosenthal, the daughter of wealthy aristocrats, was 12 when she boarded the St. Louis. Seven decades later, Anna Rosen receives a package from an unknown relative in Cuba that inspires her and her mother to travel to Cuba to learn the truth about their family's mysterious and tragic past. A masterful debut!" "After murdering the tyrannical owner of the land they farmed on the Georgia/Alabama border, three brothers make a desperate run for Canada and manage, along the way, to acquire national reputations as the kind of ruthless outlaws who are immortalized in dime store novels. This is a rollicking and ribald adventure story, populated with shady characters and told in vivid, sparkling prose reminiscent of Patrick DeWitt's The Sisters Brothers--and there is hardly a higher compliment. "Nine-year-old Alex and his mom Valerie--the ex-star of a superhero TV show--make their way across the country, Comic-Con by Comic-Con, toward a future of inevitable loss. They visit the fallen heroes, wise women, and wizards of pen-and-ink who have all shaped the story of their lives. Pushed and pulled by so many other people's stories, can Alex and Valerie learn to write their own?" "Clever, smart, and brilliantly comic as it deals with our humanity, our resilient spirit, and the tremendous challenges that demand our cooperative attention, Mr. Eternity is a delight. Who can resist the tale of a 560-year-old American man named Daniel Defoe, who has much wisdom to offer the world and its people. This genre-bending page-turner is a blast to read!" "What would you do to save the lives of your friends? In this debut novel, Winifred and her three friends are about to find out. Instead of a trip to a comfortable, fancy resort in some exotic destination, they embark on an excursion to the Allagash wilderness in upstate Maine. What happens next is everyone's nightmare, yet it leads to the kind of wisdom few people ever achieve. This is a tense, disturbing, yet satisfying story of the strength of friendship in the face of a severe challenge." "There are hundreds of coming-of-age stories, but the one told in The Summer That Melted Everything is unique. In the summer of 1984, a series of disturbing events in Breathed, Ohio, are attributed to the arrival of a 13-year-old boy named Sal who claims to be the devil. Gossip and superstitions, exacerbated by the sweltering heat, turn the villagers against Sal. Only the family of the local prosecutor welcomes the boy, who is befriended by their son, Fielding. McDaniel offers an original meditation on what is right and wrong, good and evil, in a magical, heart-wrenching, and unforgettable novel."